If the occasion calls for pie making, we keep the recipe simple with this math equation. Choose to applique either apple or pumpkin for the sweetest gift or kitchen decor. 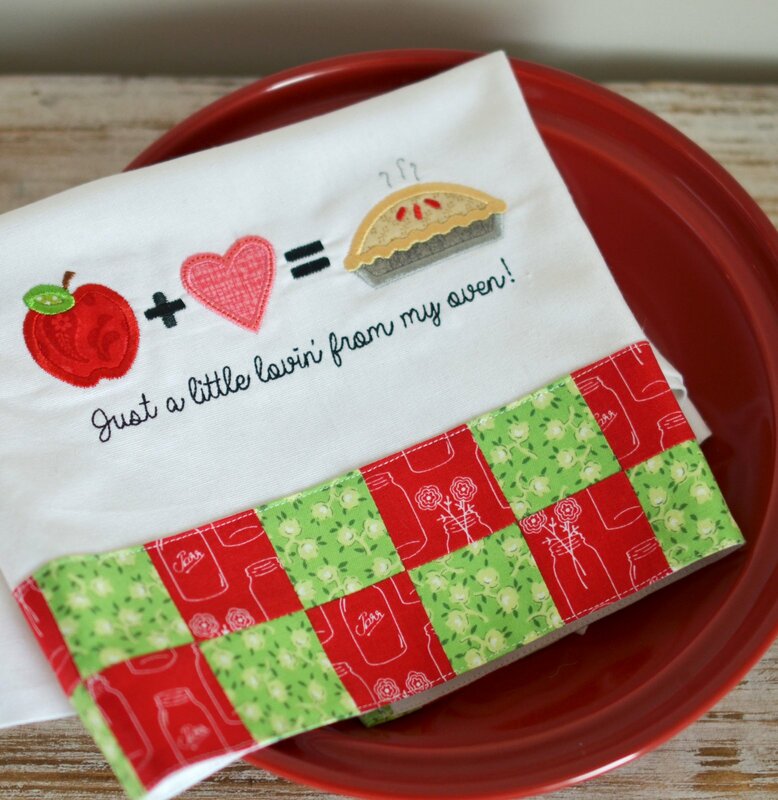 designs would look equally as cute on an apron bib for your favorite baker.